Every client is unique and the treatment we select together will reflect your needs and goals. 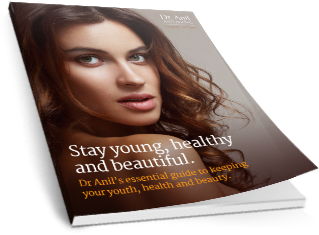 I provide a holistic 360 degree view of skincare and anti-ageing. As well as the external aspects of ageing (wrinkles and lines), I also predict, detect, and treat ageing from the inside. This is done using blood and genetic analysis to decide on appropriate protocols with supplements. 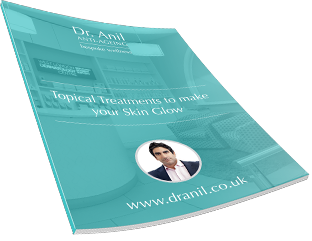 I have invested heavily in my practice and offer the latest and safest medical technology. With over 10 years of practice in the Anti-Ageing industry I have selected the best and most well-researched products. I offer support alongside your treatment in the form of Skype consults, email and telephone. I will listen carefully to your concerns and deliver a service that is appropriate to your needs. My passion for helping people look and feel great is never lost as I deliver a service of the highest quality with equal measures of discretion. As a registered member of the General Medical Council (GMC) and a member of the Royal College Of General Practitioners (MRCGP) I can also offer a General Practitioners service. For a truly holistic approach you will have access to a nutritionist, cosmetic nurse and personal trainer. I can refer you to specialists in the area of plastic surgery in the UK and abroad.